This month, I sat down with Mark Maraia and Matt Rowe of Maraia & Associates to discuss how creating a Go To Market strategy is an integral, yet often overlooked, component to successful business development. 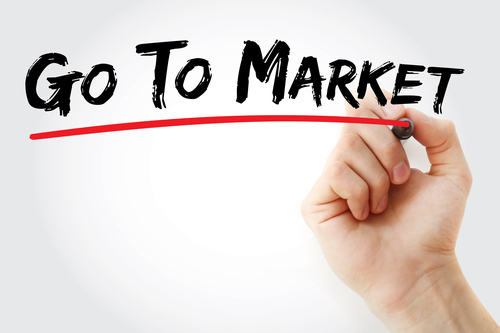 A Go to Market (GTM) strategy is a plan for a business to communicate and deliver its unique value proposition to its target customers. The GTM strategy is the bridge that connects the marketing message regarding your brand and products/services to the sales team who actually connects with the potential customer. When this bridge exists, marketing becomes directly influenced by real customer needs and sales has targeted marketing materials that resonate with the customer. As lawyers adapt their practices and firms more and more to run like competitive businesses, they would benefit from adopting a GTM strategy that’s specific to their practice and the industries they serve. A well-crafted GTM will drive revenue growth as it positions you to connect directly to your ideal client in a way that allows them to easily see your unique value proposition. A GTM is the better solution than a professional’s typical “trial and error” approach to business development—you know, where you are kissing a lot of frogs hoping to find your big client prince. Your GTM strategy helps you preselect the frogs and makes sure you’re wearing their favorite lip gloss. Let’s hear how Mark Maraia, founder of Maraia & Associates and an expert on rainmaking and relationship cultivation, and Matt Rowe, who joined Maraia & Associates’ with an extensive background in sales and marketing, explain what a GTM strategy is and why it’s so important. Can you tell me what you mean when you talk about a GTM strategy as it relates to professionals involved in business development? Mark Maraia: I first ran across this term five years ago when I was working with a large firm in Texas. They were very innovative in that they had regular “go to market” meetings to coordinate on all business development-related issues. I was hired to make those meetings more productive, to make sure the business development goals discussed in those meetings were being executed on. Essentially, to take their business development goals and reduce them, on a very granular level, to actionable steps that could be executed on. Matt Rowe: In today’s world, with so much noise in the marketplace, how do you help your and your firm’s brand stand out from the crowd? How do you position yourself to be a trusted resource for everyone you do business with when everyone else is doing the same thing? In its simplest terms, your GTM strategy is really just how you excite your market about what you offer in a compelling way. Is a Go to Market strategy really that different from a good business development plan? Matt Rowe: Business development plans tend to be focused on the outcome of your actions. They’re goal oriented–i.e., you plan to engage in certain business development activities in order to get a certain amount of business. And while a good business development plan has metrics—incremental measurements or steps you’ll take to get there—the ultimate success or failure of your business development plan rides on implementation. A GTM strategy, is all about implementation. Without implementation you will not accomplish your business development plans. Mark Maraia: It’s moving from goals and outcomes to focusing on the processes and the actions you must take—and precisely how you will take them—in order to reach those goals laid out in your business development plans. It takes that 30,000 foot level business development plan and brings it down to ground-level specifics of which potential clients you’ll contact, why you’re contacting them, why they should hear you, how and when to contact them and even what you’ll say. It even addresses when to contact clients and what you’ll say to distinguish your services from your competition. Can you give me an example of this difference in how a coach might approach traditional business development coaching versus coming up with and executing a GTM strategy? Mark Maraia: Here’s an example of a client we recently worked with. He was struggling to expand the work he got from his clients because his area of expertise put him in front of just one department with limited access to the C-Suite. Foundational business development coaching was great for designing a plan to expand his practice by cross-selling his firm’s services to existing clients by leveraging his network to gain introductions to the C-suite. The coaching helped him hone his rainmaking skills for developing and deepening his relationships in order to expand his network and to make the most of any opportunity that might arise. Layering in a GTM strategy, in addition to the coaching he received, took him beyond the foundational elements of building his rainmaking skills and helped him develop and execute a targeted action plan for who in the C-suite he would reach out to, what he’ll say when he connected with them and why they should hear him out. Matt Rowe: A business development coach might work with you to define your target or ideal client. You’d look at your strengths, distill your long-term goals and develop a very clear picture of who that ideal client is that you need to get in front of. And what you do with that, generally speaking, is up to you with the support and accountability of your coach—maybe you’ll call people in your network who might have connections with your target client or maybe you’ll start going to industry events where your target client is likely to be. All good ideas, but there’s still a lot left to chance with that approach. Working with a coach to develop a specific GTM strategy builds off that definition of your ideal client and translates it into specific action-based strategies around who you are going to approach, why you are going to talk to them and more importantly why they might want to talk to you and then craft what you’re going to say to and the questions you’re going to ask. GTM is all about the execution whereas traditional business development coaching is more focused on identifying opportunity and creating accountability. Working with a coach on your GTM strategy is the next step in business development coaching. Often, even with business development coaching and a clear plan for who your ideal target is and what steps you need to take to ramp up your rainmaking prowess, there is still a bit of a gap when it comes to execution or closing with target clients. Spending some time developing your GTM strategy can help you do a deep dive into your target market and truly know the who, what, how, and why your target will engage with you. It helps you be crystal clear about why you’re there and how you can help them so that you can more successfully position yourself as a trusted adviser. Rainmaking is about relationships and whether you’re trying to design a business development plan or a GTM strategy, it all comes down to authentically connecting with your clients to better meet their needs. A GTM strategy is one way to be efficient and effective at deducing those needs and knowing how you can meet them. If you think a GTM strategy would help you reach your revenue growth goals, call us today or click here to request more information.